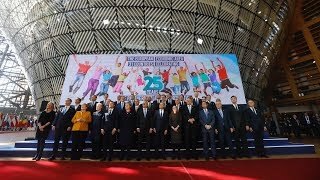 Friday, March 22, Brussels – 28 EU state leaders attending the European Council Meeting in Brussels and prime ministers of Iceland, Lichtenstein, and Norway marked the 25th anniversary of the European Economic Area. All the EU member states and Iceland, Lichtenstein and Norway are members of the European Economic Area. It was established in 1994 with an aim to promote economic cooperation among European countries by eliminating customs and other trade duties as well as constraints to movement of services and workers. Members of the European Economic Area also contribute to joint efforts to reduce economic and social differences among countries and regions. According to different financial mechanisms of the EEA, Lithuania received EUR 151 million in support over the period of 2004-2014 and almost EUR 109 million are planned to be assigned to Lithuania before 2021. These funds were used to promote research and innovation, improve health care, activities for vulnerable children and young people, civil society initiatives and other important activities. EU leaders also discussed joint recommendations on strengthening growth in the European Union and the euro area. In February, the European Commission issued individual reports on member states' progress in the implementation of recommendations for 2018. The report on Lithuania emphasized that the economy grew by 3.6 percent over the last year, investments went up and unemployment decreased. Business environment was also assessed positively. Still, Lithuania received criticism over poverty and income inequality which is among the highest in the EU. The report also highlighted the inadequate pace of education reforms, poor health care results, insufficient retirement benefits, considerable economic and social development differences in regions as well as the need for more investments in innovation.